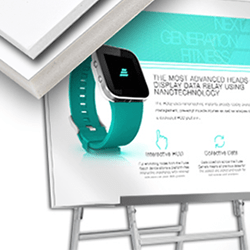 The Printing Connection offers a variety of Rigid board products to meet your display and presentation needs. Common options include Foam Core, Heavy Duty Gator Board, Custom Die-Cut Standees, as well as outdoor safe coroplast. • Most of our signage products include Free Gloss or Matte Lamination. We use premium materials for all of our banner products to ensure maximum print and finish quality. 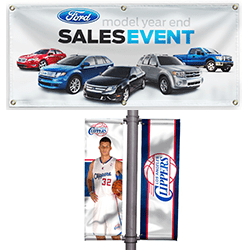 Typical Banner applications are billboards, building wraps, banners, event flags, trade show signage, parades, indoor signage, window displays, etc. 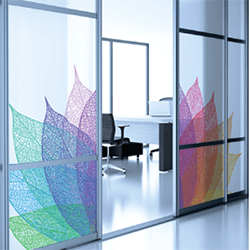 Our high performance adhesive vinyl products offer a number of solutions to various signage applications. Due to vinyl’s ability to stand up to the elements and its exceptional print quality it is a great choice for long lasting signage. Art prints are available on a number of materials and are excellent for decorating office spaces or for permanent branding for storefronts. Our aluminum signs are made of corrosion resistant aluminum. We offer single thickness or double thickness permanently bonded to polyethylene core. Aluminum is perfect for long-term outdoor and indoor use. We offer Gloss, Matte, Dry-Erase and Reflective Coating options. 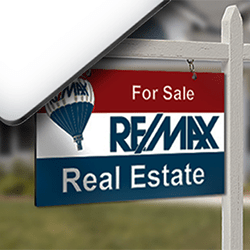 Typical Applications include Real Estate signage, Parking Lot Signage, Public Use Signs, etc. 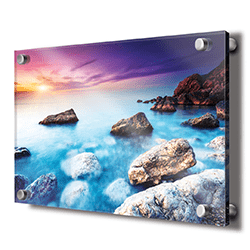 Our high quality wide format magnets are a thick 30 mil material with a smooth surface for maximum print quality. 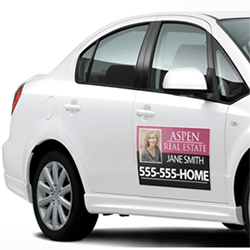 Best suited for car door signage, it can also be utilized as temporary signage for construction sites or other quick-changing work environments.